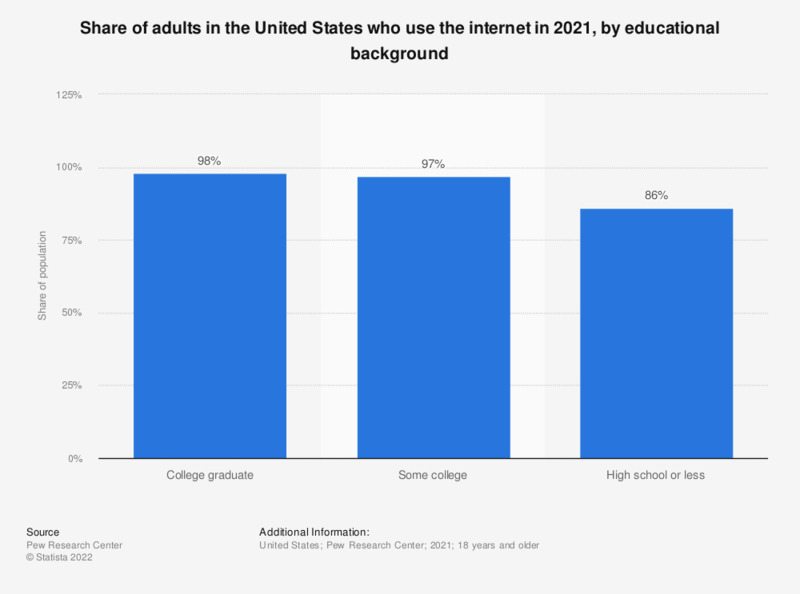 The statistic shows share of internet users in the United States in 2018, sorted by educational background. During the survey period, it was found that 84 percent of high school graduates were internet users. Overall, 89 percent of the U.S. adults accessed the internet.